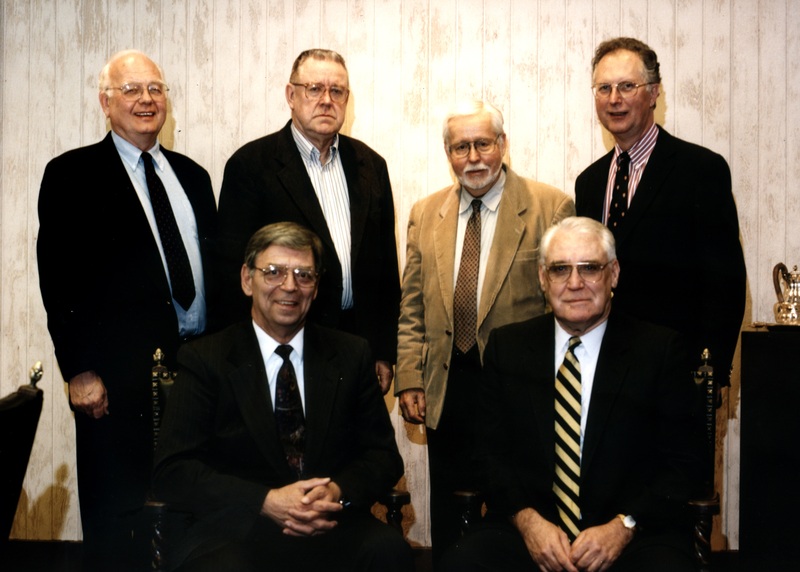 Some of the Directors of Lutheran Quarterly, Inc., are pictured here in 1998. From the left, standing are Joseph Burgess, David Hardy, Gerhard Forde, and Ronald Feuerhahn. Seated, from the left, are James Kittelson and Oliver K. Olson. Not pictured are Directors Roald Kindem and Walter Sundberg, Jr.